The Royal Canadian Numismatic Association is pleased to announce this year’s Educational Symposium. Expanded to eight leading numismatists presenting over a two-day period this event is for your pleasure and knowledge. As the Canadian collector becomes more sophisticated the demand for numismatic education becomes stronger. The RCNA is proud to be sponsoring the leading educational event for those attending the 2016 Convention. It is an opportunity to connect with people passionate about this hobby and eager to share their knowledge making your numismatic experience that much greater. Remember, knowledge is power! 4pm Robb McPherson Collecting Casino Collectibles - Chips, Tokens etc. Paul, a native of Hamilton, moved to Ottawa in 1984 to work in the Bank of Canada Museum, known then as the Currency Museum. From 1991 to 1996 he worked as a member of the Bank’s Currency Research and Design team. In July 1996 he returned to the Museum as its Curator. In 2001 Paul became its Chief Curator administrating a team of eight professionals in the development, care and research of the Collection. Paul is a past president, life member, and archivist of the Canadian Paper Money Society. 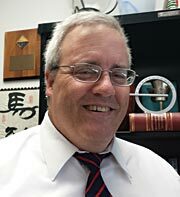 He is also a fellow and past president of the Canadian Numismatic Research Society, and a former Deputy Chairman of the J. Douglas Ferguson Historical Research Foundation. Paul is a contributor to the Canadian Encyclopedia, the Avalon Chronicles, the RCNA Correspondence Course Part II and various hobbyist publications. Most recently, he authored two articles for the Transactions of the Canadian Numismatic Research Society – New Series Volumes 1 and 3, about the early bread tokens of Ottawa. He is a recipient of the Ruth McQuade Literary Award (2000) and the Fred Bowman Literary Award (2011). 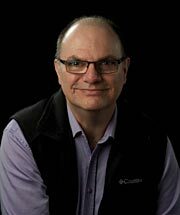 Michael, RCNA Western USA Director, is also a Director of the Canadian Paper Money Society, as well as a Director of Canadian Association for Numismatic Education. 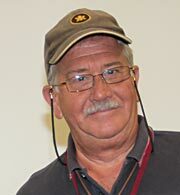 He is a retired secondary educator from northern California, USA and is well known throughout the United States as a promoter of youth involvement in numismatics. Over the years, Michael has been involved in organized numismatics at the local level and at the national level, with both the American Numismatic Association (ANA) and the RCNA, and is the past President of the California State Numismatic Association. Michael has acquired many honours, including Fellow of the RCNA and two RCNA President’s Awards. He is an established researcher, writer, and editor. Susan, originally from Brantford, gained her Honours Bachelor of Arts from McMaster University and her certificate as a Mint Engraver from the Royal Canadian Mint. As a Senior RCM Engraver with over 30-years of experience, Susan creates designs, sculpts bas relief and prepares tooling for the manufacture of coins and medals. In addition to these responsibilities, she mentors team members in blending traditional sculpting practices with computer technology. 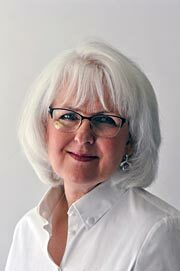 Susan is a past President of the Medallic Art Society of Canada and is the Canadian Vice Delegate for the Fédération Internationale de Médaille, an International Art Medal Organization. Collecting Casino Collectibles - Chips, Tokens etc. Robb began collecting coins a young boy. Later, as a young man, he joined the Waterloo Coin Society in 1989. Robb soon became a director of the club and eventually, in 2000, its President, a position he held for ten years. In 2014 the members of the club presented him with Life Membership # 9. 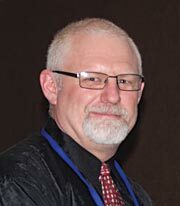 In 2010 Robb was elected a Fellow of the Ontario Numismatic Association. In 2013 he became the President of the ONA and currently holds that position. Robb is also the RCNA Director for South-Central Ontario. 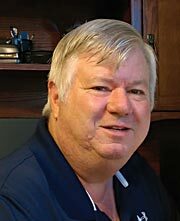 Robb is currently co-editor of the “Casino Collectible News” and a member of the Silver Strikers Club, and the Casino Chip & Gaming Token Collectors Club Inc. (CC&GTCC). Rob Turner began collecting Canadian decimal coinage as a teenager growing up in Maine during the 1960s. By 1980, he had focused his passion upon collecting and studying Victorian cents. During the last thirty years, he has assembled multiple sets of these fascinating coins, including a mint state set containing all of the date and obverse variety combinations. 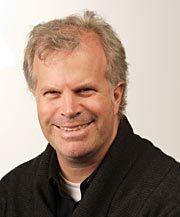 Rob has been elected as a Fellow of the Canadian Numismatic Research Society. He currently serves as Vice President of that society. In 2011, he won the Society’s Fred Bowman Award for Numismatic Research for his book, Dies and Diadems. He holds membership in both the Royal Canadian Numismatic Association and the American Numismatic Association. He serves as secretary of the Newfoundland Numismatic Enthusiasts. Christopher Faulkner is the author of The Holey Dollars and Dumps of Prince Edward Island, which was published by Spink & Son, London, UK, in 2012. His primary area of research interest is the circulating specie of pre-Confederation Canada and he has written a number of articles on aspects of the token coinage of this period. He has just completed a book on the tokens of Upper Canada issued between 1815 and 1841 and is currently working on a book-length study of the Ships, Colonies and Commerce tokens. He was a recipient of the J. Douglas Ferguson Award in 2013 and of the Award of Merit from the Ontario Numismatic Association in 2014. He is currently Chair of the Board of the J. Douglas Ferguson Historical Research Foundation. He is Emeritus Professor and Distinguished Research Professor at Carleton University in Ottawa, Canada. Mark Benvenuto is a chemistry professor at the University of Detroit Mercy, in Detroit, Michigan. He has over twenty years of experience analyzing coins, antiquities, and other objects via energy dispersive X-ray fluorescence spectroscopy (EDXRF). He and his research students have attempted to determine if the composition of different series of coins can give clues as to their ore sourcing, and of their methods of manufacture. As a hobbyist, Mark enjoys writing on numismatic topics of all types. He has published approximately 800 articles in national and regional numismatic magazines and journals such as the CN Journal; as a professor, his scientific articles appear in chemical literature. He has also written a science fiction novel, “Mars Greening,” and a military humor volume, “Twisted Tales from VMI: Real-Life Stories From the Virginia Military Institute, Barracks, Post, and Downtown.” He is always looking for a new subject to broaden his own understanding. Born and raised in Oshawa, David Bergeron has been a Curator of the National Currency Collection of the Bank of Canada since 2002. In his position, David is responsible for the development and the maintenance of the collection, its library and supporting documentation, and for making it accessible to the public through a variety of media. David also works within the Collection Services Section of the Bank of Canada Museum in support of the Museum’s mission and vision. David holds a Master’s degree in History from the University of Ottawa, and has acquired his expertise in numismatics through his years working as a dealer, and through his own collecting interests and personal development in the field. 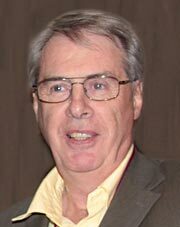 David is a fellow of the Canadian Numismatic Research Society and a board member of the J. Douglas Ferguson Foundation.